After years of performing hard labour, my poor laptop finally deteriorated to the point of becoming almost unusable. It had lived with a pretty bad fractured screen, a missing power key and a broken left trackpad button for a little while but that's not what did it in. What did it in was the power connection. Over the last few months, it had developed a wonky connection to the power charger where it wouldn't charge. It started off small, where it wouldn't charge some times. Then that changed to around 50% of the time, and then finally to most of the time. It got to the point where I was having to constantly press the charger into the port, oriented at a specific angle, in order for it to charge. It would then charge very slowly, and heat up to burning temperatures. Since the battery life was pretty diminished (the machine being around 4.5 yrs old), it seemed time to look to replacements. Has at least one USB 3.0 port. Can run at least Ubuntu Linux without me having to hack it too much with drivers. Doesn't take up the better part of a grand. Ideally within the £500 range. A new factor this time for me was weight. I usually don't mind as my laptop tends to stay at home, but I've been doing a lot more travelling lately and both my home (now dead) laptop and my work laptop (Macbook Pro 2011) are relatively heavy. I looked at some Dell solutions, and even looked at refurbished Macbook Airs but for the specs I was after; they were just too expensive. Finally, I turned back to my old friend PC Specialist who had supplied my previous laptop and a machine for a partner. After a quick browse the Enigma VIII popped up and I was surprised at how well it seemed to match my requirements. It was touted as an "Ultra thin 14.9mm design" which intrigued me. A very quick search told me that the Macbook Air touts a 17mm thickness, which made this seem very promising. I configured the options which basically consisted of selecting NO OPERATING SYSTEM in lieu of the default Windows 10 and knocking the price down to £558 incl VAT. This seemed reasonable enough, but I hesitated for a while. The reason being that I'd previously purchased the Lafité III for my partner and had a bit of trouble with the Wireless drivers for Ubuntu; they would drop Wireless signal every 10 seconds or so and not automatically reconnect. Anyway when my laptop's performance dropped off a cliff towards un-usablility I took a chance and ordered Enigma VIII, figuring I could just return it if it proved rubbish. It took around a month to arrive due to a short delay in PCSPECIALIST getting the parts. I wasn't overly annoyed since the staff were incredibly forthcoming and transparent about the expected delivery times via phone call and email, and also offered me several options should I decide I wanted a different machine or to take my business elsewhere. I've had the machine a few days now and my initial thoughts are very good. Xubuntu works out the box, with wireless working during installation via USB. I disabled the UEFI first thing, and booted from USB. Within 10 minutes I was staring at the XFCE login screen. The screen with full 1080p graphics works beautifully, and the machine is blazing fast (although aren't all new machines?). The size is a lovely middle-ground between the 13" machines that I find too small sometimes, and the 15" machines that I sometimes find unwieldy. The weight feels feather-light compared to my previous machine and my office machine, to the point where I might actually bring this laptop on field visits with me. The keyboard is lovely to type on, although the spacebar is a little unresponsive at times and doesn't type a space. The trackpad also sticks a little. One thing I am quite pleased about, is the casing. I was in two minds about the aluminium casing -- I love how modern it looks/feels, and how sleek it is. I have long-term concerns about being able to access components like hard drives for replacement. This is alleviated as the bottom of the machine has clearly accessible screws and a barely-visible seam which means I can remove the bottom of the chassis to facilitate repairs (which I admittedly would need to teach myself to perform first…). My old Fusion T also suffered injuries to its power button (which came clean off and got lost) and the left mousepad button, which also came clean off but I managed to keep it from getting lost. The integrated trackpad/mousepad buttons on the Enigma VIII, and the power key being fully integrated into the keyboard means that this won't be a problem on this machine. Hopefully. I had to adjust the trackpad sensitivity inside Xubuntu, making it doubly sensitive to get it to respond the way I like it. I can't remember ever having to do the same on my previous build. This is more ideological, than practical. 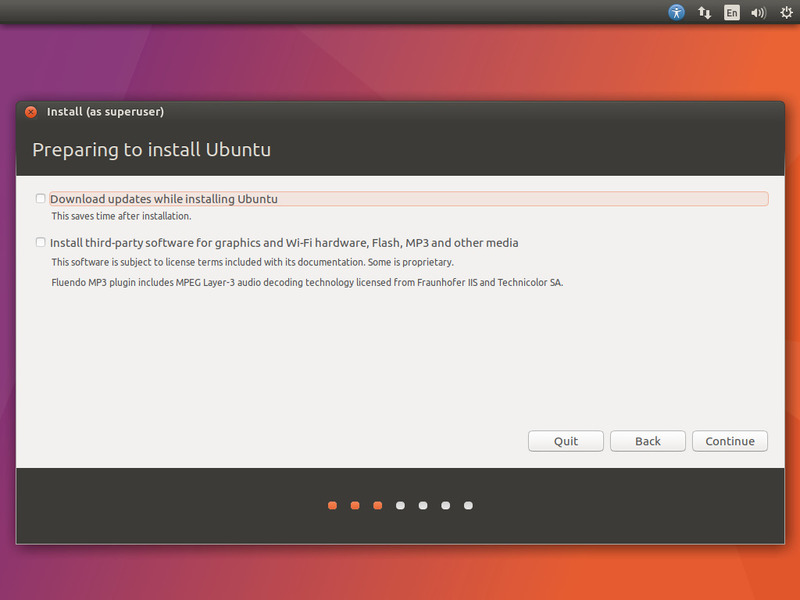 During Xubuntu install I made sure that I explicitly didn't choose to install third party software (ie this). After install, I generally fetch vrms from the repos to do a check on my machine. On the Fusion T I would get the message that I had no proprietary software on the machine except when I occasionally installed Skype (dw I purged it after each use). On this machine, however, it seems that there's some non-free packages that have made their way in! 4 non-free packages, 0.2% of 1817 installed packages. 1 contrib packages, 0.1% of 1817 installed packages. I'm unfamiliar with the packages in question, and the processor microcode tools seem quite important (unsure why I have an AMD one, though). This might be a change in Xubuntu and they might be including it. The graphics one seems like a necessary evil. I am surprised at the fonts-ubuntu package, though. I was sure that the Ubuntu fonts were free and open? They might be released under their own license or under a license that vrms doesn't count as free, therefore marking them as nonfree. It still remains disappointing. I'm feeling pretty good about the machine. GNU/Linux power management has never been amazing, but I'm in the honeymoon period where I can work for around 5-6 hours easily without needing to charge the machine. And when I do, the charger works without me needing to perform blood sacrifice. I'll do a proper performance analysis review some time soon, probably. Maybe. Until then, I'm optimistic I'm going to develop a nice relationship with the Enigma VIII.